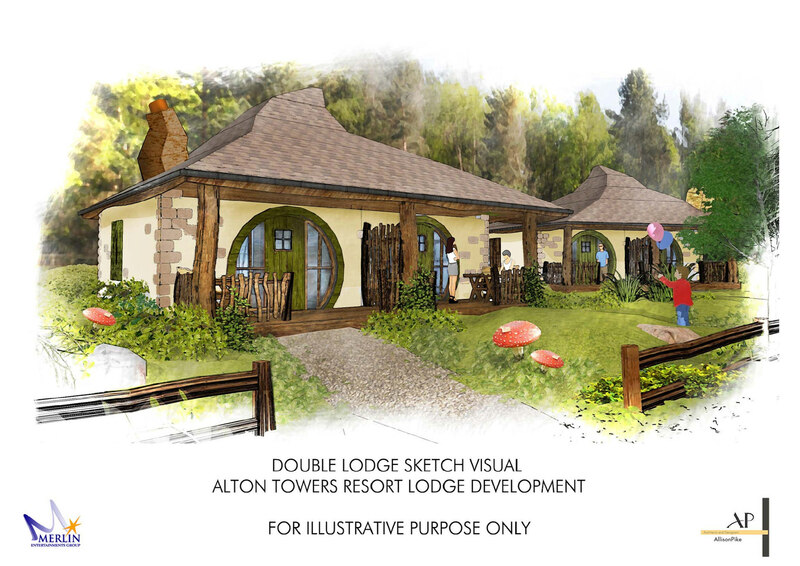 During 2014 a show lodge was built on the front lawn of the Towers to advertise the Enchanted Village to park visitors and give them chance to take a look inside the new accomodation. 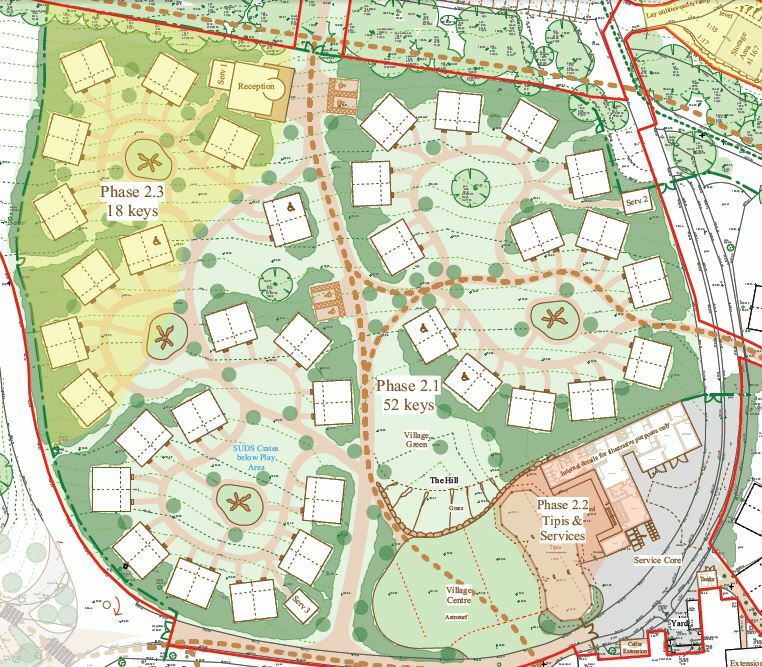 Plans to expand the Enchanted Village development were approved on Thursday 14th April 2016. 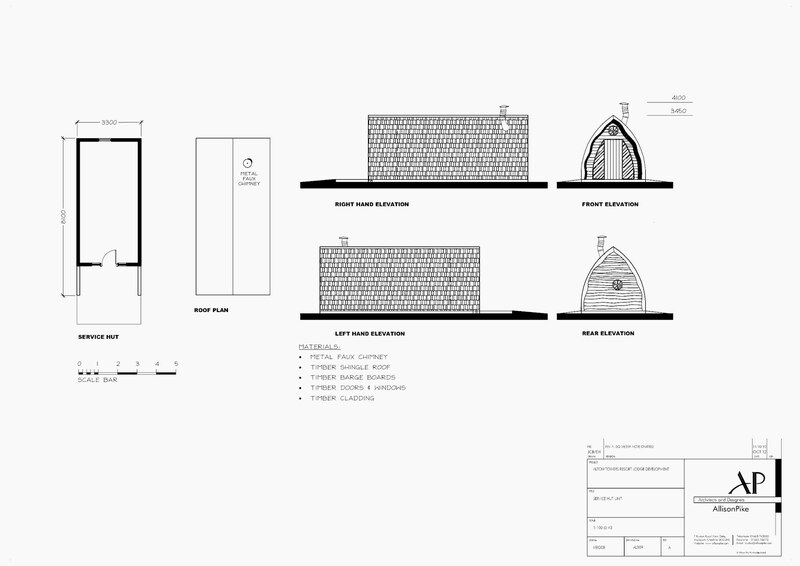 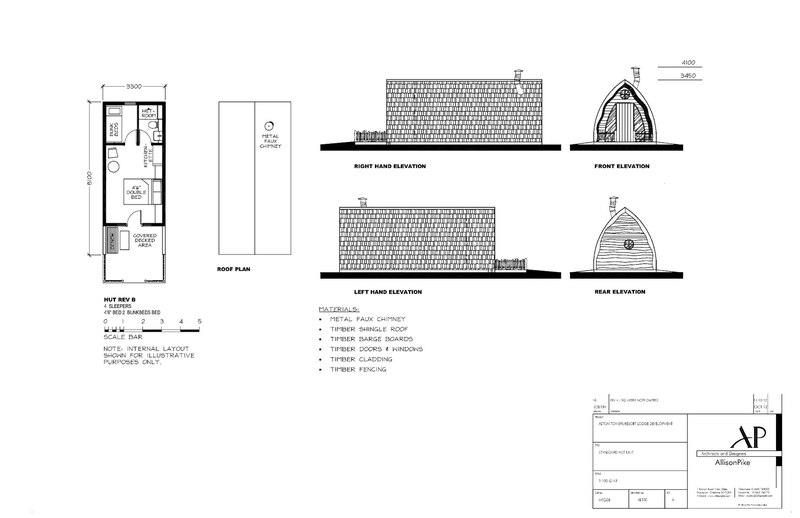 These plans were later abandoned however in favour of a different scheme involving smaller camping pods. 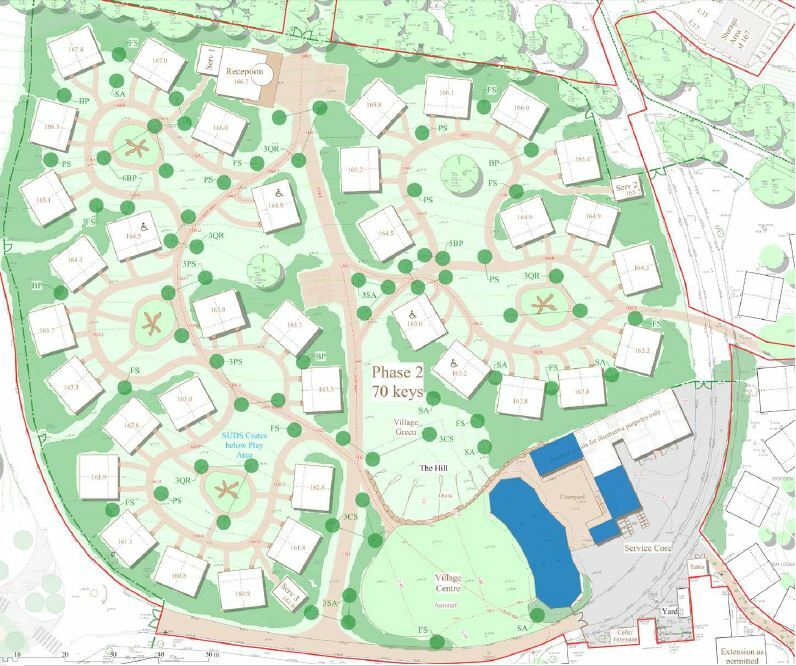 The expansion would be located north of the existing development completed in three “Phases” between 2018 – 2021, with the new lodges identical to those already installed in Phase 1. 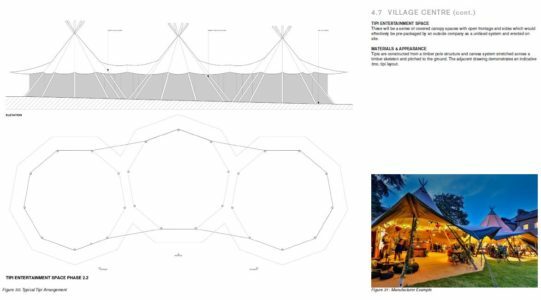 The Tipi entertainment area to be built as part of Phase 2.2 in 2020 would be an open sided timber structure with a fabric roof, and will accompany an astroturf open area and courtyard with new public WCs and a small bar/food outlet. 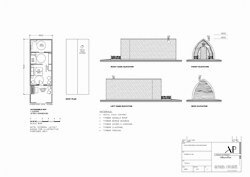 The pods are designed to offer an alternative accommodation option for those on a lower budget and will only contain a sleeping area. 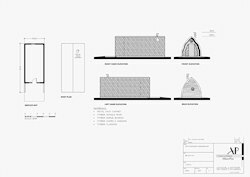 Rather then each pod having a bathroom, shower and toilet facilities will be provided in a block to the south of the site. The increased number of pods (102) in comparison to the lodge development (70 lodges) reflects the smaller footprint of the pods, and also the smaller maintenance areas required due to no individual washing/toilet facilities being provided. The only element of the original plan to be retained was the Tipi entertainment area, which had already been constructed in 2017, ahead of the resort's Christmas events. 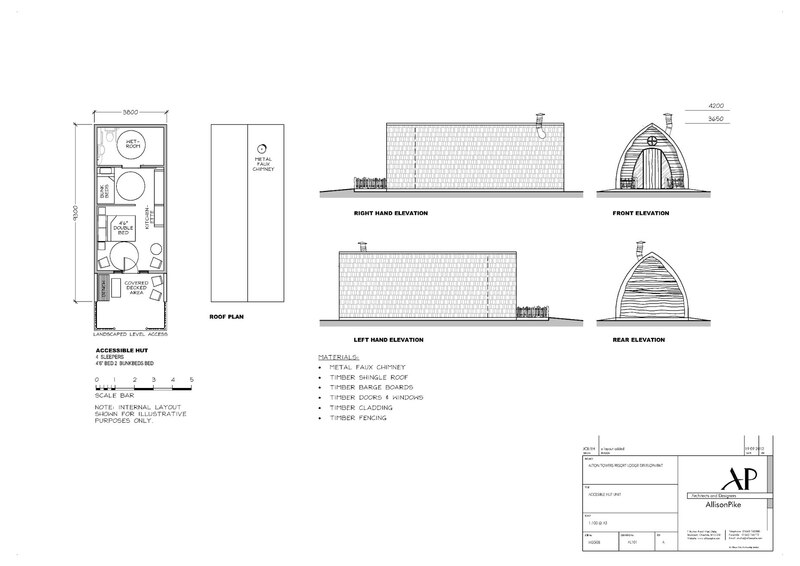 Construction began on the site in July and shortly afterwards the resort announced the new accommodation would be known as the Stargazing Pods. 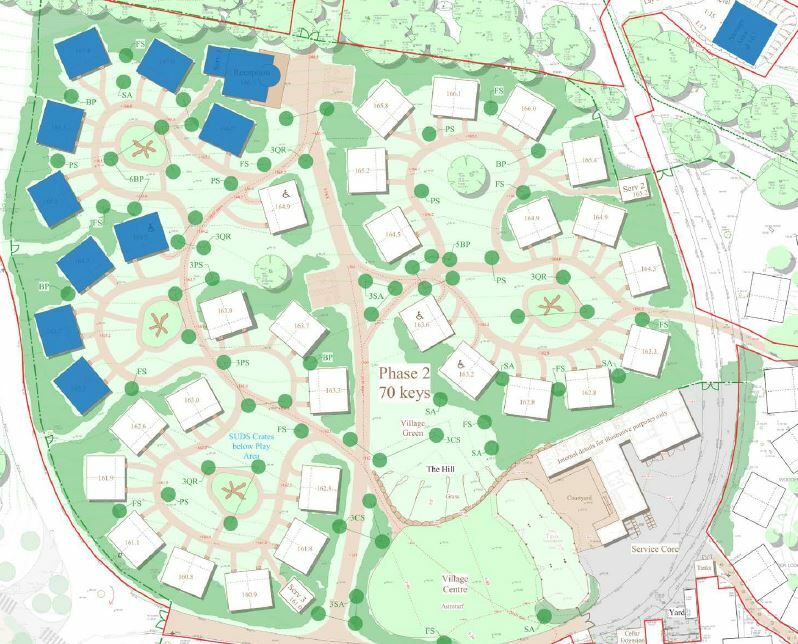 The park also kicked off marketing for the new village addition by adding a cluster of show pods on the front lawns of the Towers, much as they had done when the original Enchanted Village opened. 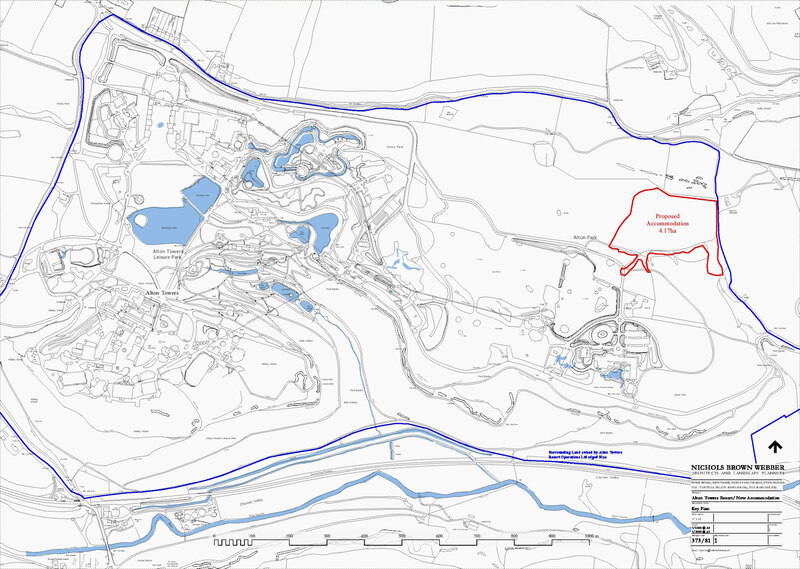 On Thursday 16th May 2013, these plans were withdrawn by Alton Towers. 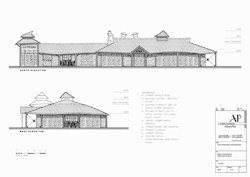 Our news article from the time provides more detailed information. The project would have be built in two stages and covered 5,002 square metres located in the field overflow car parks more commonly known as “O and P”, see the red area on the image image. 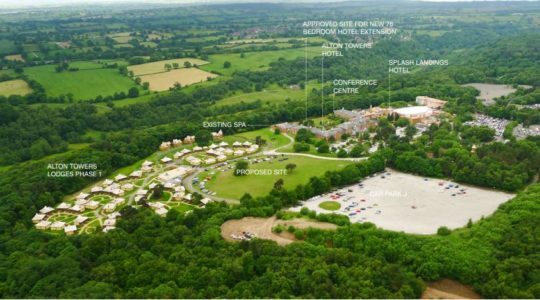 Phase One (to the right of the images) would have been completed in February 2014, consisting of 16 lodges, 64 huts and 5 holes, as well as the combined arrivals/restaurant/office/shop building, 2 service huts, a utility building and some themeing elements. 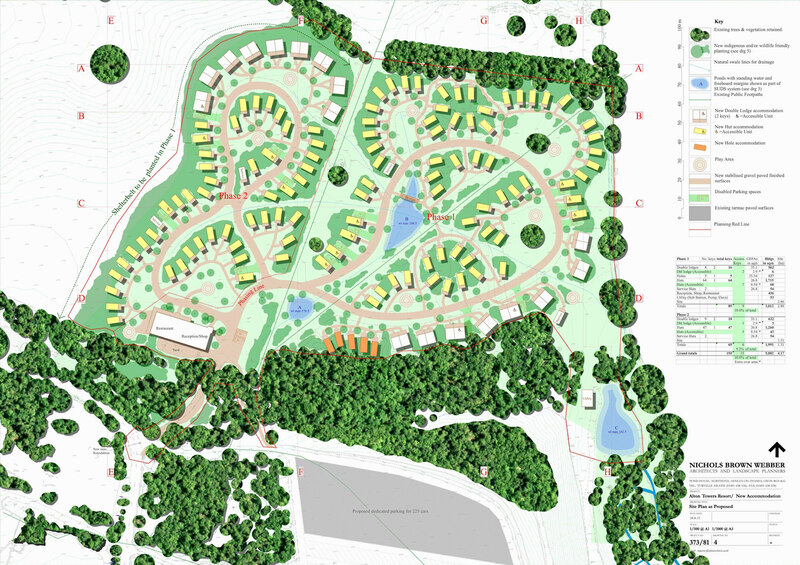 Phase Two (to the left of the images) would have been completed in February 2015, consisting of a further 18 lodges, 47 huts and 2 further service huts. 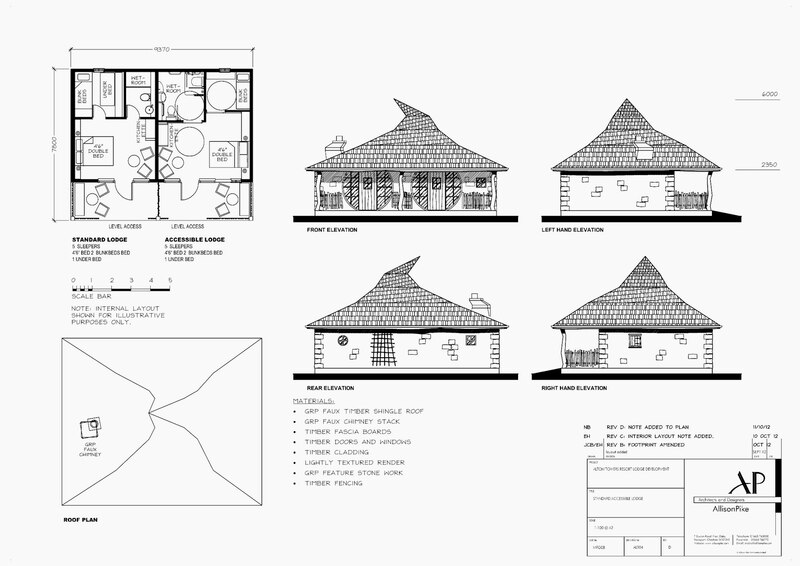 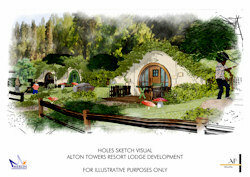 The overall proposal was for 150 accommodation units, made up of three types of building – lodges, huts and holes. 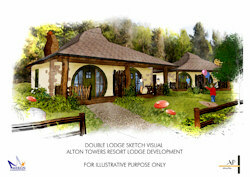 Lodges would sleep up to 5 people on a double bed, bunk beds and a pull-out extra bed. 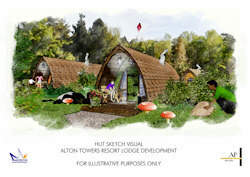 Huts would sleep up to 4 people on a double bed and bunk beds. 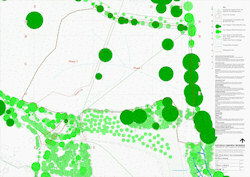 Holes would contain the same features as a hut, but are slightly smaller in size and are ‘underground’. 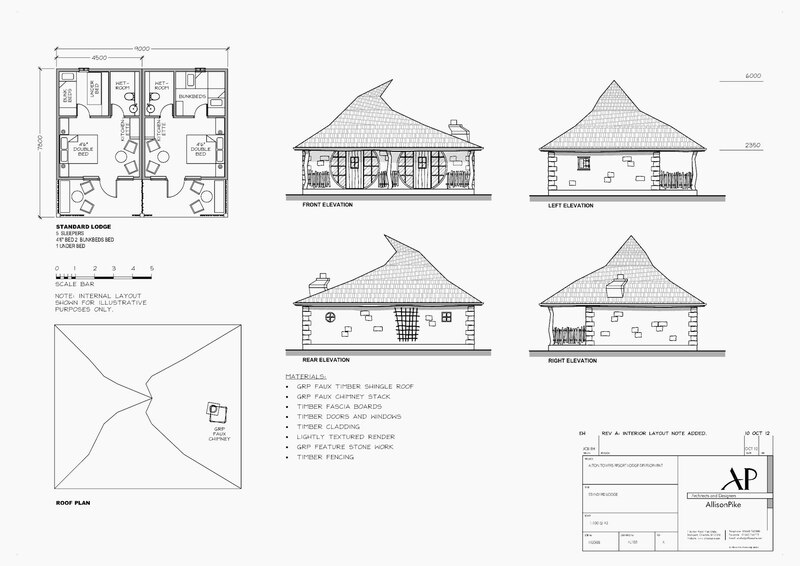 All accommodation options would provide a kitchenette as well as a veranda to its front with table and seating. There were also 3 Accessible Lodges and 12 Accessible Huts specifically designedfor disabled guests. 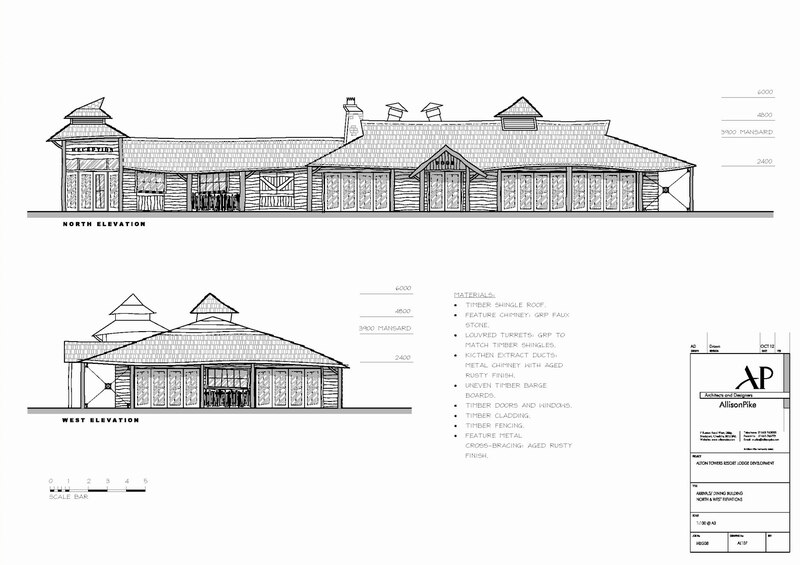 A combined arrivals and restaurant building was proposed for completion with Phase One. 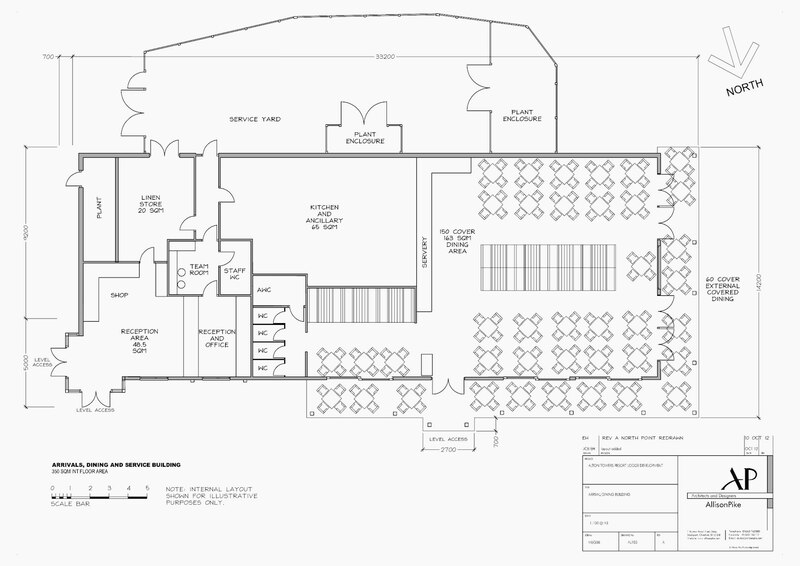 The restaurant will seat 150 people indoors, and 60 people outdoors (weather permitting). 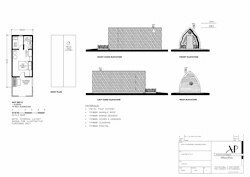 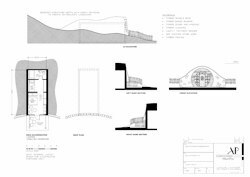 The building itself would house both the reception area and restaurant, as well as a kitchen area, staff and guest toilets, a linen and plant room, a small shop, and a staff break room. 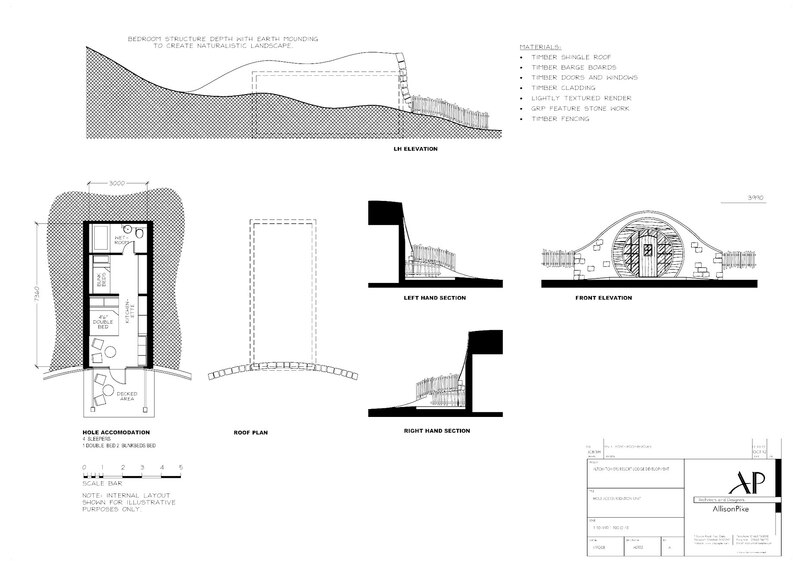 There was also provision for children, with nine play areas scattered around the site. 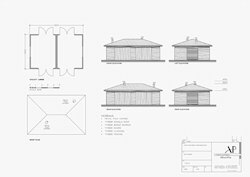 On an operations basis, there will be service huts around the site to aid maintenance and housekeeping, and a utility building to provide power. Alton Towers Resort were looking to build 150 accommodation units, each sleeping 4/5 people, with a view to adding more variety in terms of accommodation size and pricing. 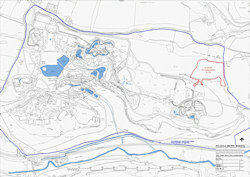 The development would occur in two phases, open to guests by March 2014 and phase two by March 2015. 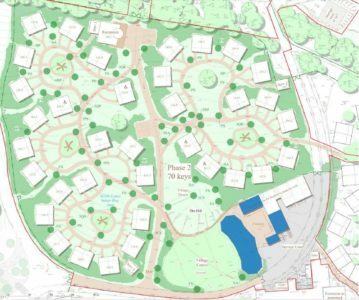 The development would be housed in a meadow to the north of Alton Towers Hotel on car parks ‘O and P’, on an area totalling 5,002 square metres (4.17 hectares). 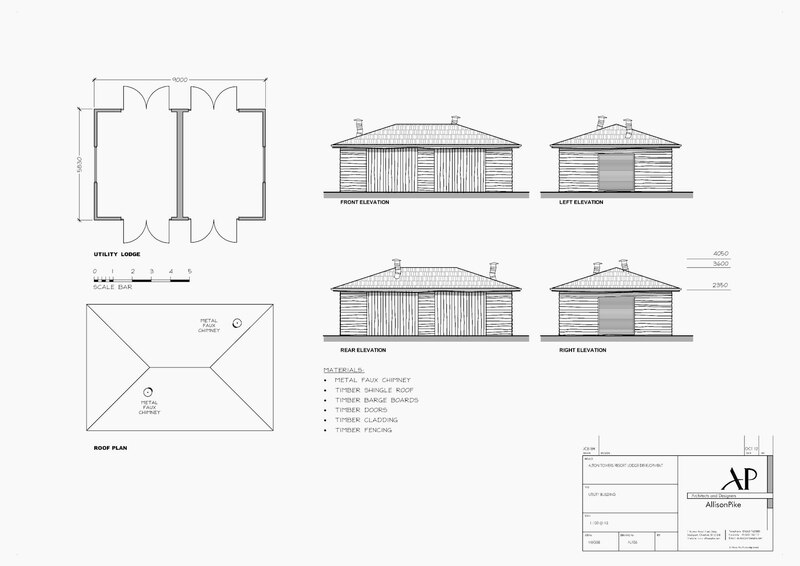 Accommodation units will comprise three styles – lodges (sleeping up to 5), huts (sleeping up to 4), and holes (sleeping up to 4). 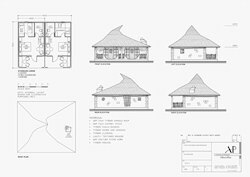 All units would have their own self-contained wash facilities and kitchenettes, as well as verandas at the front with a table and chairs. 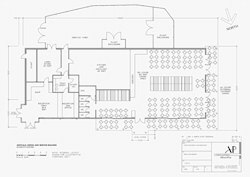 The development also came with a large multi-use building housing the reception desk and the restaurant, seating 210 at maximum capacity. 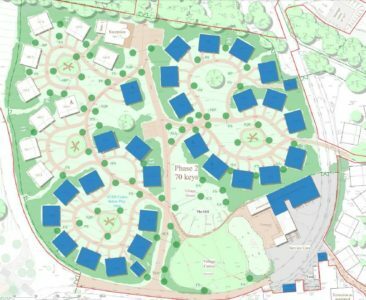 The development would have nine play areas across the site to cater for children. 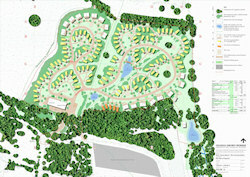 Biodiversity, wildlife and the environmental impact of the development had been a great consideration, though there is considered to be little to no impact in those respective areas, due to the sympathetic nature of the development on the surroundings; wildlife may well benefit from the changes being implemented regarding the created ponds.